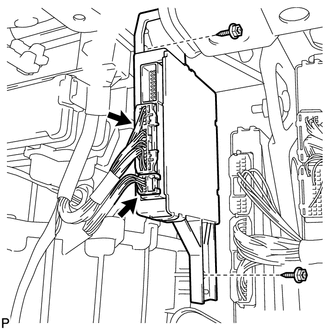 (a) Install the air conditioning amplifier assembly with the 2 screws. Be careful when installing the air conditioning amplifier assembly. If the air conditioning amplifier assembly is dropped, replace it with a new one. Use the same procedure for the RH side and the LH side (See page ). (b) Remove the 2 screws and air conditioning amplifier assembly. Be careful when removing the air conditioning amplifier assembly. 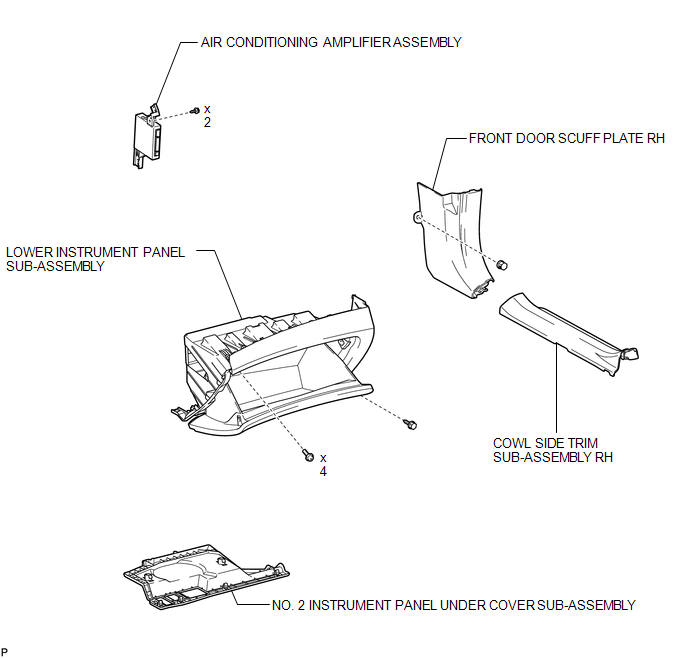 If the air conditioning amplifier assembly is dropped, replace it with a new one.